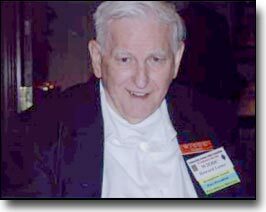 Howard Lester, W2ODC, died on April 16, 2007, in Alplaus, New York. He was 83. Howard was a resident of Alplaus for more than 50 years. 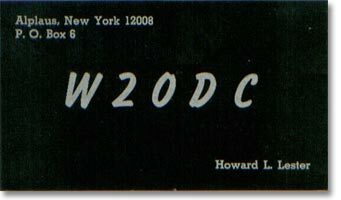 Howard joined the Radio Club of America in 1978 and became a Fellow in 1989. Born in Troy, New York, in 1923, Howard was the son of Leroy and Elizabeth Lester. He graduated from Lansingburgh High School in Troy. On Feb. 21, 1942, he married Ruth Lampman, also of the Lansingburgh area of Troy. Their family grew to include four sons. By the time of Howards high school graduation, he already had been a radio amateur for seven or eight years, and he was employed by General Electric. World War II was under way. Howard joined the U.S. Navy. He spent his time in the Navy in Chicago, teaching radio and radar classes at the Navy Pier. Early in 2007, I exchanged some email messages with Howard. He told me that his early interest in radio stemmed from his fathers activity in amateur radio. After the war, Howard graduated from Rensselaer Polytechnic Institute in Troy and began a career in electrical engineering that spanned six decades. When I spoke with Howards son Carl Lester, K2YR, on May 19, he said he was continuing to receive phone calls from his fathers large circle of friends and acquaintances a month after his fathers passing, as the news would reach them. Earlier, Howard told me, I surely know a very large number of GE folks from all over the map. And then there are the very large numbers of guys I knew from having them as Navy sailor students in my radio/radar classes at Navy Pier, Chicago, during WW II. Every now and then I meet another of them. They usually remember me first, but have been surprised as to how many of my sailor students I have remembered. Typically, I recall the technician sent from the H-P district office in Albany for a problem with some new H-P lab equipment. The tech looked at me and immediately recognized me — and then I clearly remembered him from classes on an old fire control radar, Howard said. 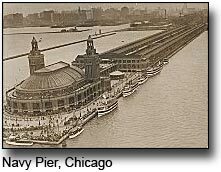 Another was the fellow who headed the GE Chicago office, Jack. One of my lab associates, while there on a business trip, said that he knew we both had been at Navy Pier during the war and wondered if we knew each other. Jack gave me the number of his Navy Company, and I said he had to have had me for fire control radar classes and labs. He said he did not remember me, but did remember the instructor who had terrible jokes, and then repeated one of my standard awful jokes. He did not remember me, but he remembered my joke. Fascinating. I used to think it was funny — when someone in the class asked how something worked — to answer, very well. And Jack remembered, Howard said. Eric said his father was known to many hams around the world as W2ODC, and operated a station from his home in Alplaus to the end of his life. Howards father, brother, and three of his four sons have held amateur radio licenses. He was well known as a knowledgeable, friendly fellow, always ready to lend a helping hand to others both in and out of the world of amateur radio. He gave many hours of time helping local, state and federal officials solve radio communication problems including the Schenectady Police Department and the Schenectady County Emergency Operations Center. His expertise was valued, and always freely given to the community, Eric wrote in the obituary. Carl, himself an active radio amateur, said that his brother David has a license, N6KLG, although he is not active. Howards only son not to have a license is Don &#8212 or what we like to call the normal one in the family, Carl said. My Mom, Ruth, was WN2GEP in the early 70s when the Novice ticket was good for two years and non-renewable. She let it drop. My Dads brother-in-law, Jim, is an active amateur, W2DYL. Carl said his grandfather Leroys call was K2CKV. 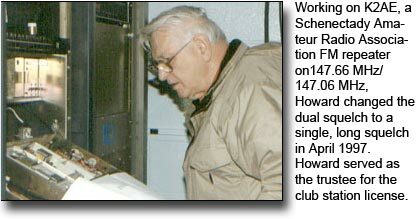 Howard was a member of the Schenectady Amateur Radio Association (SARA) and the American Radio Relay League (ARRL). He had an Amateur Extra class license and a First Class Radiotelephone license from the FCC. Howard was a 51-year member of the Alplaus Volunteer Fire Company. He served for many years as a firefighter, on the Fire District Board of Commissioners, and in the Fire Police. 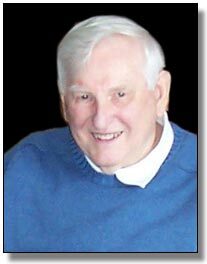 Howard frequently consulted on radio communications for the fire service in and around Schenectady County, his obituary reads. 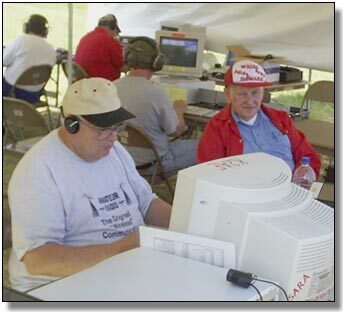 Our ham club Schenectady Amateur Radio Association, Inc. has had scholarships for some years. We finally went the route of having ARRL administer our scholarship program, Henry Broughton Memorial scholarship. In consonance with your observation, we have had a hard time getting people to apply. The only real restraint is need to have a FCC ham ticket, any class. There are no means requirements. With so few applying, we changed the program to increase the amount of the award rather than try to have an increased number of awards. We have a couple thousand dollars per year for the awards from a fund that was created some years ago and has increased in value over the years, Howard said. By the way, Henry Broughton was an assistant to Tesla, especially in the Tesla radio experiments. Henry was K2AE, and the Schenectady ham club has his call now, and I am the club trustee for that call. His son, Bill Broughton, W2IR, was an active club member, he continued. Carl said that Bill died in 1994, and the W2IR call sign now is assigned to the Schenectady Museum Amateur Radio Association. Edison brought some interesting radio fellows to the Schenectady GE labs, including Tesla, Harold Beverage, Steinmetz, Fessenden and Alexanderson. We don’t usually think of Steinmetz for radio, but recall he was the guy who came up with the concept of impedance and changed a lot of calculations into algebra that had been strictly calculus. Although they all had gone on their ways when I joined the GE labs in 1941, I used to hear tales of their loud and bitter arguments with each other and with Edison. But not Harold Beverage, who was just a nice guy who never got into loud arguments. Note that Beverage lasted to a ripe old age, 99 as I recall, Howard said. Yes, it was interesting to hear the fellers at the lab talk about some of the greats at the lab who had been there just a few years before. You may recall hearing about Steinmetz’ high voltage laboratory where he produced very high voltages by the classic method of charging huge capacitors in parallel and discharging them in series. That lab setup was still intact when I went to work in the lab, and I was fascinated with it. We even used it to test some early lightning protectors, as had Steinmetz, Howard said. Another smile I had was during the work we did for the Polaris submarine. There was a desire to put a timer on every circuit board which would be useful for maintenance prediction and testing. I had a little outfit make a small electrolytic cell that looked identical to a glass Littelfuse. Placed in series with the DC line, it would plate from one electrode to the other. By looking at a scale for the plating depth, we could calibrate in terms of time, he continued. The little outfit that made them suddenly were most upset with us, and it took a while to find out what their problem was. We had forgotten that Edison, with his DC power distribution in New York City, had measured the electricity used by the same method. He would weigh the electrode being plated to determine the coulombs used and then charged the customer with that information. The little outfit we were dealing with suddenly realized that the early Edison patents completely eliminated the patents for which they had applied and figured that big GE was going to put them out of business. Of course, that never happened, Howard said. Howard added that the maintenance planning for long-mission submarines such as Polaris, was a difficult business. We did a lot of work trying to analyze it all. It is easy to do board replacement, but not when storage space is so limited as it is aboard submarines. Parts replacements means lots of spare parts, although smaller, and the availability of lab-type instruments which are not small, generally. Training of the technicians is not a small item, either. That last one I knew, since I had spent most of my WW II Navy life as an instructor of radio and radar electronic technicians at Navy Pier, Chicago, he said. Howard is survived by his wife Ruth; his brother and sister, Donald Lester (Estelle, dec.) and Margaret Dalheim (James); sons, Carl (Amanda), David (Susan), Donald (Laurie) and Eric (Maureen); eight grandchildren and five great-grandchildren. I wish I had had more time than a few weeks to know Howard, but Im glad even for that brief interval. Thank-you to Eric Lester, N7GGJ; and Hal Post, AK2E, for photos and the QSL card. This entry was posted on Wednesday, June 20th, 2007 at 7:17 am and is filed under Obituaries. You can follow any responses to this entry through the RSS 2.0 feed. You can leave a response, or trackback from your own site.